Award-winning vocalist Susie Glaze, mandolinist Steve Rankin, fiddler Mark Indictor and bassist Fred Sanders are The Susie Glaze New Folk Ensemble, the newest version of the acclaimed Los Angeles-based Americana group The Hilonesome Band, a lush new folk Americana fusion ensemble, presenting gorgeous eclectic blends of mountain folk and exciting new grassy and Celtic-inspired originals, all with the remarkable voice of Susie Glaze. The group has been likened to the classic British bands Pentangle and Fairport Convention in that they blend classic folk music with rough-edged stories of tragedy and fate, all with orchestral arrangements sounding like chamber music gone folk! The band has appeared at many premier venues and festivals on the West Coast, including Berkeley’s Freight & Salvage, McCabe’s Guitar Shop, The Broad Stage, the Hollywood Bowl, Palms Playhouse, Don Quixote’s Music Hall, Kuumbwa Jazz Center and CalTech Folk Music Society among others. Their CD “White Swan” was released in March of 2013 to critical acclaim from No Depression, FolkWorks, Pop Matters, M Magazine for Musicians, Music News Nashville and FolkWords UK among others, and charted in the Top 50 on the Roots Music Report’s Combined Internet and Terrestrial Folk Chart. Their new album “Not That Kind of Girl” produced by Herb Pedersen was released in June 2015 and is enjoying critical acclaim and radio airplay around the country. “If there were a word to describe this fine band, it would be sophisticated. They draw influences from disparate sources to meld their sound. The level of musicianship is exemplary.… display a great range of prowess and work as a tight unit.” — Bluegrass Unlimited. “…one of the finest and most original Americana groups in California (or in the country for that matter).” No Depression. Augmenting their sound is the lush, Celtic sounds of Rankin’s bouzouki, the mountain sounds of Susie’s Appalachian dulcimer and traditional autoharp, with Mark Indictor’s virtuoso fiddling and Fred Sanders’ remarkable bass work rounding out the orchestral nature of this amazing quartet. Folkworks Magazine voted Susie Glaze & The Hilonesome Band into the top 10 of “Folkworks’ Top Ten Live Acoustic Bands in Southern California for 2008” writing “Susie is justifiably endorsed by Appalachian music legend Jean Ritchie, and the band has a fine repertoire of beyond-bluegrass originals from its chief songwriter, Rob Carlson. They can take you up in the hollars, or sound like a female-fronted Asleep at the Wheel.” (Larry Wines for Folkworks). This is the best in New Bluegrass to Appalachia Folks Roots Fusion, an experience of gorgeous eclectic blends of mountain folk and exciting new bluegrass-inspired originals, all with the remarkable voice of Susie Glaze. Winner of the Just Plain Folks 2006 Music Award for Best Roots Album, and Folkwors Magazine’s Pick for Best Bluegrass Album of 2005 for “Blue Eyed Darlin'”, Susie’s Hilonesome Band is Steve Rankin on mandolin, Rob Carlson on guitar and dobro, Mark Indictor on fiddle and Fred Sanders on bass, a band formed to showcase the original songwriting of lead guitarist, Rob Carlson. Their show features work from their critically-acclaimed “Green Kentucky Blues” (produced by Bluegrass favorite Laurie Lewis), award-winning “Blue Eyed Darlin'” and classics from Susie’s debut solo album “Home On the Hill,” along with mountain standards from the Jean Ritchie collection, favorites from Gillian Welch and Steve Earle. Marvin O’Dell of Classicheartland.com writes: “Susie Glaze does something with a song that only great singers can do…she grabs hold of song’s deepest emotion and purpose and wraps it tightly around your soul” and Bluegrass Unlimited calls her “an important voice on the California Bluegrass scene.” “Susie Glaze has one of the most beautiful voices in bluegrass and folk music today. She performs a song straight from her heart and soul.” (KPFK’s FolkScene). Broadway actress and singer, award-winning recording artist and critically-acclaimed powerhouse vocalist, Susie Glaze has been called by BLUEGRASS UNLIMITED “…an important voice on the California Bluegrass scene.” A native Tennessean, Susie grew up in the shadow of the Grand Ole Opry, learning the craft of country and bluegrass from a short distance by regular immersion of Flatt & Scruggs, Dolly Parton and Loretta Lynn among others. When just 16 she sang for her brother Rick’s writer’s nights song showcases in Nashville. New York audiences saw Susie’s Broadway debut when she played the role of the young Southern matriarch Mary Jane Wilkes in the original Broadway company of Roger Miller’s musical play “Big River.” During her two years with that company, Susie began researching the works of the pioneering artists who developed country, folk and bluegrass music from the early years in America and was led inevitably to the work of The Stanley Brothers, The Carter Family, Bill Monroe, Doc Watson and Jean Ritchie among many others. After relocating to Southern California and joining the bluegrass group The Eight Hand String Band, Susie debuted as a recording artist with the group’s 2000 release “The Simple Truth” and was the winner of the Los Angeles 1999 Topanga Banjo and Fiddle Contest and Folk Festival for Traditional Singing. In 2002, Susie’s debut solo CD “Home On the Hill” reaped praise from Sing Out! and Bluegrass Unlimited magazines. The following year Susie appeared alongside Jean Ritchie at the Conner Prairie Living History Museum’s White River Folk Festival, and in 2004 Susie premiered her new concert piece “The Appalachian Songs of Jean Ritchie” at Southern California music festivals. The year 2003 also saw the formation of The Hilonesome Band with Susie and her husband, mandolinist Steve Rankin, to debut and showcase the work of Santa Clarita songwriter Rob Carlson. 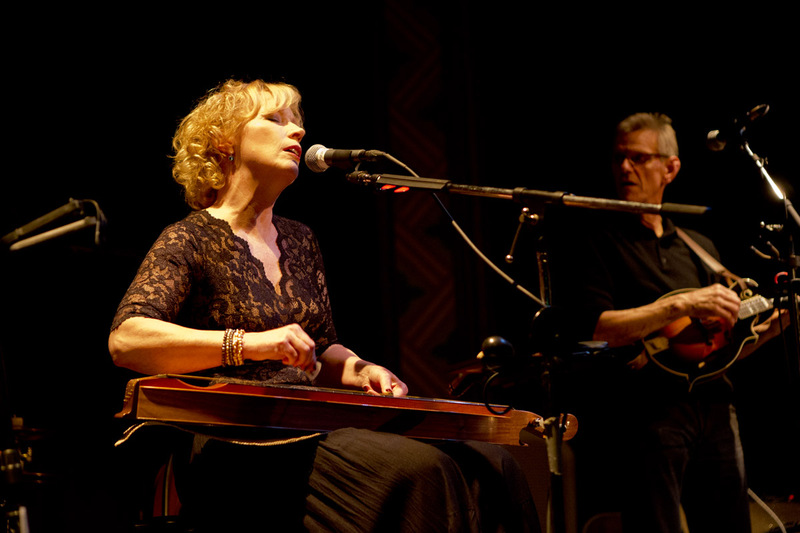 Susie’s second solo CD “Blue Eyed Darlin'” was released in July 2005 to praise from Bluegrass Unlimited and Folkworks magazines (their top Bluegrass Album of 2005), and won her the Just Plain Folks 2006 Music Award for Best Roots Album. Her concert/theatre piece: “Singing the Moon Up: The Voice of Jean Ritchie” was a critical success in its debut at The Pennsylvania Centre Stage Company at Penn State University in September 2005, and the live soundtrack album of that piece was released in 2007. 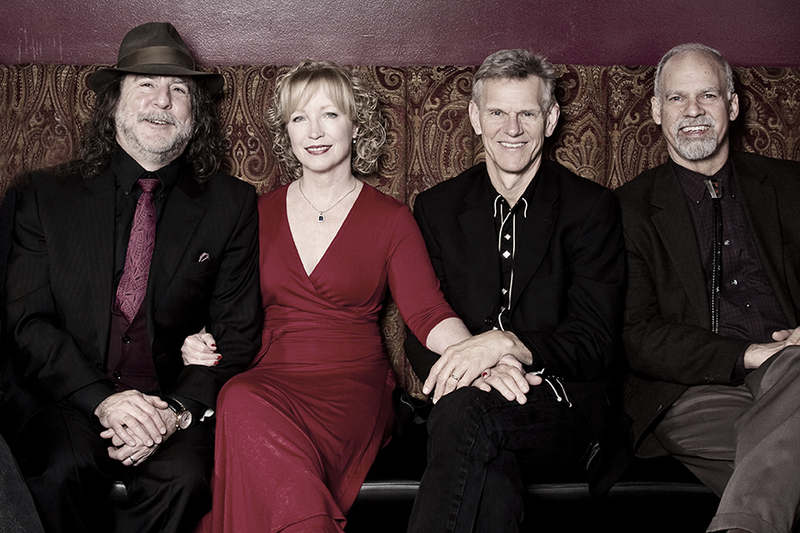 Since 2008, the Hilonesome Band released “Green Kentucky Blues” produced by Bluegrass legend Laurie Lewis, “Live at the Freight & Salvage” in March 2011, “White Swan” in 2013 and “Not That Kind of Girl” in 2015 produced by Herb Pedersen. Susie was honored to be included on the 2015 Compass Records tribute album “Dear Jean – Artists Celebrate Jean Ritchie” alongside such artists as Judy Collins, Pete Seeger, Janis Ian, Tim O’Brien, John McCutcheon, Robin and Linda Williams and many more. This year will see the formation of the newest version of this critically acclaimed Americana folk fusion, The Susie Glaze New Folk Ensemble. Steve Rankin is an actor/director/musician who was born and raised in the American Heartland of Illinois. His musical influences come from a wide spectrum, ranging from big band swing, rock n’ roll, to folk and bluegrass. He got his first guitar at age 12 and never looked back, immediately forming a band and playing for Junior High events in the local church basement. His acoustic epiphany occurred with the release of the “Will the Circle Be Unbroken” album. This was the music that opened his eyes to the power of simple complexity and the vast resource of story telling. While living in Tennessee, Steve jammed with local musicians in barber shops and out of the way small country grocery stores, starting his first bluegrass band, Waddy Peytona and the Frogtrotters. In 1980 he moved to Louisville, Kentucky and met Fred Sanders, the two of them becoming life-long friends with music as a fertile ground of expression, which has continued for over thirty years including time spent with The Legend in Their Spare Time Band, The Eight Hand String Band, the show “Feast Here Tonight” in New York and now with Susie Glaze and the Hilonesome Band. In 2006 Steve adapted Jean Ritchie’s memoir “Singing Family of the Cumberlands” into the stage show “Singin’ The Moon Up: the Voice of Jean Ritchie” and directed its premier at the Pennsylvania Center Stage, a collage of musical theater, concert and story telling. Mark Indictor began his musical and creative journey when he asked his parents for violin lessons at the age of seven. Since that time, Mark has contributed artistically and technically to projects ranging from live theater and film scoring to live and televised concert appearances in both the United States and Europe. His talents encompass music composition, performance, musical direction, production, and post production. Mark’s stylistic repertoire is uncommonly eclectic, allowing him to play and improvise freely in virtually any musical style from Traditional Celtic to Chicago Blues, Zydeco to Tejana, Country Swing to Big Band, and much more. Mark was selected as Celtic Fiddle Champion by the Irish News in 1998. Since opening his “Sundog Studio” in 1993, Mark has engineered and produced many local and diverse artists, and continues to appear in performance and on record with several Los Angeles based musical organizations, including “Susie Glaze and the Hilonesome Band”, “Merlin Snider and his Pretty Good Acquaintances”, “Acadiana”, “Josh Rich and Friends”, and “Border Radio”, among others. Mark continues to refine his style and break new ground with the innovative “Hilonesome Band” and now in its new version, The Susie Glaze New Folk Ensemble, featuring the angelic voice of Susie Glaze, the incredible songwriting of Rob Carlson and other local songwriters. Fred Sanders is a Philadelphia-born actor/director/musician who started playing the bass in rock bands at age 12. In the early 80s Fred first played music with current bandmate Steve Rankin as part of the R&B/Blues Rock band Steve Rankin and the Legend in their Spare Time Band in Louisville, Kentucky. While living in Louisville and working as an actor at Actors Theatre of Louisville, Fred heard Bill Monroe, Jim and Jesse, the New Grass Revival as well as other bluegrass and newgrass greats and was inspired to begin dipping his toes into those styles. In New York Fred was hired for the National Tour of Roger Miller’s Huck Finn musical “Big River” and soon after worked alongside Steve Rankin once again, along with Susie Glaze, in an original Off-Broadway Americana/bluegrass musical called “Feast Here Tonight.” After relocating to Los Angeles Fred started playing standup bass exclusively, this time with the bluegrass/roots group The Eight Hand String Band, and in 2003 joined Susie’s new Hilonesome Band. In December 2010 music and theatre came together once again when Fred was honored to play bass and act with Lyle Lovett and Sara and Sean Watkins (of Nickel Creek fame) in a country-bluegrass version of “Much Ado About Nothing” for Shakespeare Center LA.